Access to Work can help if your hearing problem affects the way you do your job. It gives you and your employer advice and support with extra costs which may arise because of your needs. This is a government funded scheme that helps people with a hearing loss to have equal access to workplaces. 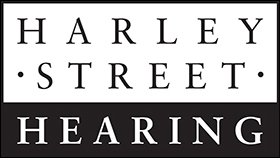 Employers are required to make ‘reasonable adjustments’ for staff that are deaf or have a hearing loss as enshrined in the Equality Act 2010. We can help you find out if Access to Work will help you to obtain hearing aids or equipment that are much more suited to your working life.